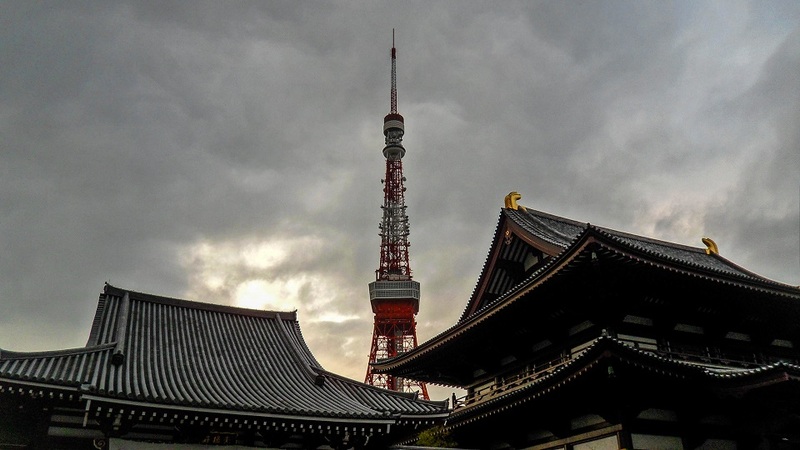 I’m currently writing about my experiences in Tokyo, Kyoto, and Osaka. 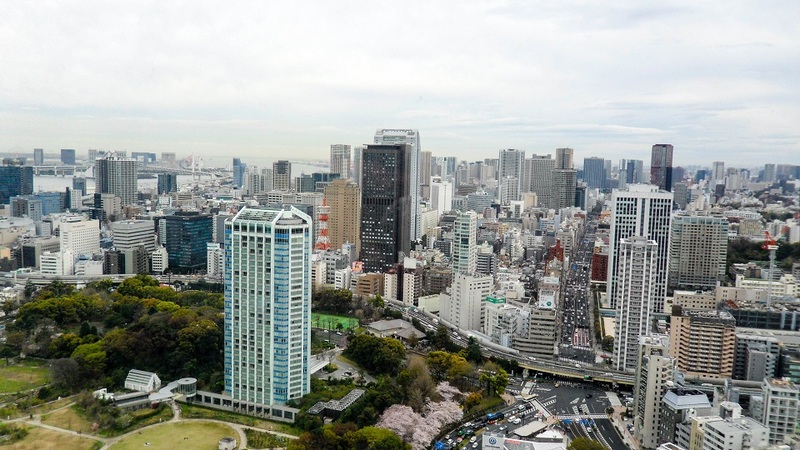 But until those are done, here’s some views of Tokyo from some nice vantage points I found! While not all of them are high up, I found them all to be pretty amazing. 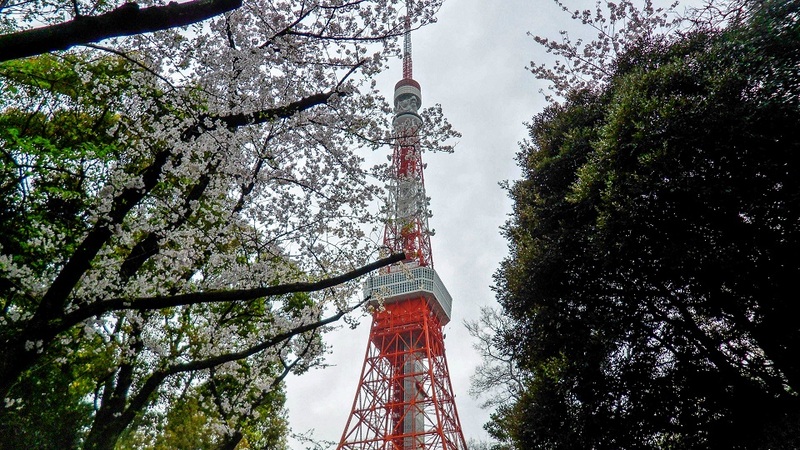 Gotta start out with one of the most famous and iconic structures, the Tokyo Tower! One of the first views I got of the Tower turned out to be about as perfect as I could’ve imagined. 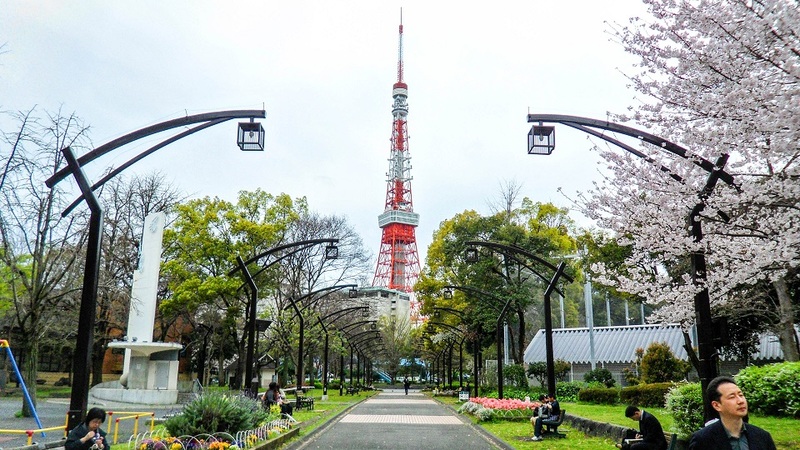 The Tokyo Tower is surrounded by some beautiful park areas with lots of cherry blossom trees! Like a good spice in food, the Tower compliments other buildings nicely! 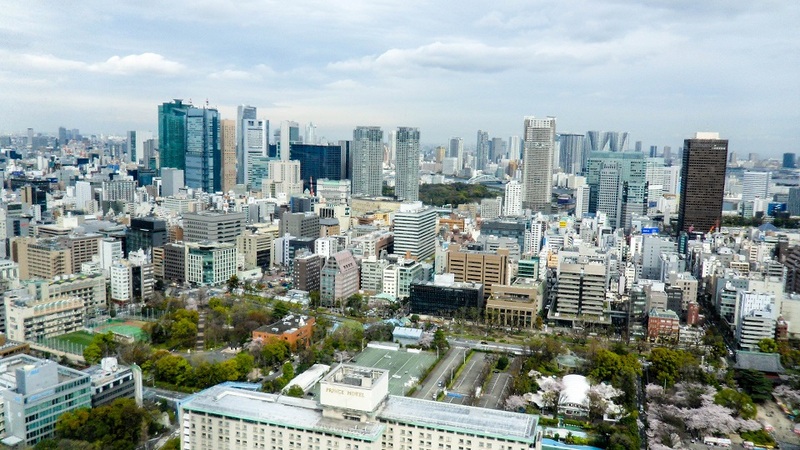 The views from the Tokyo Tower show a lot of the downtown area. And on clear enough days, you can even see Mt. Fuji! From this view, Mt. 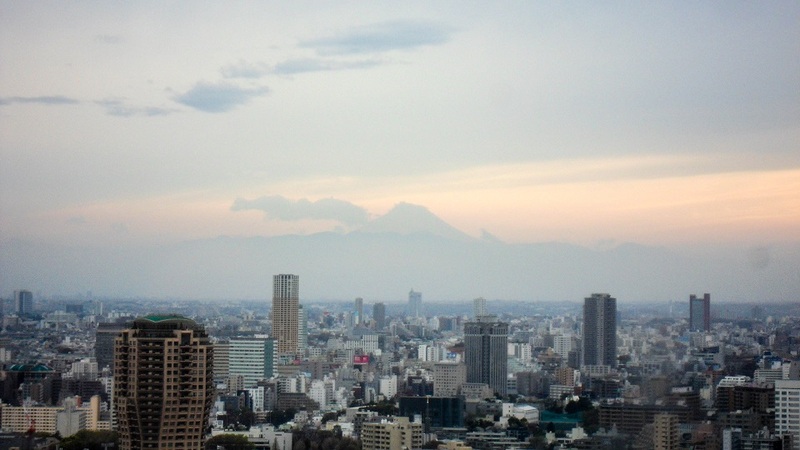 Fuji is just over 80 miles away! 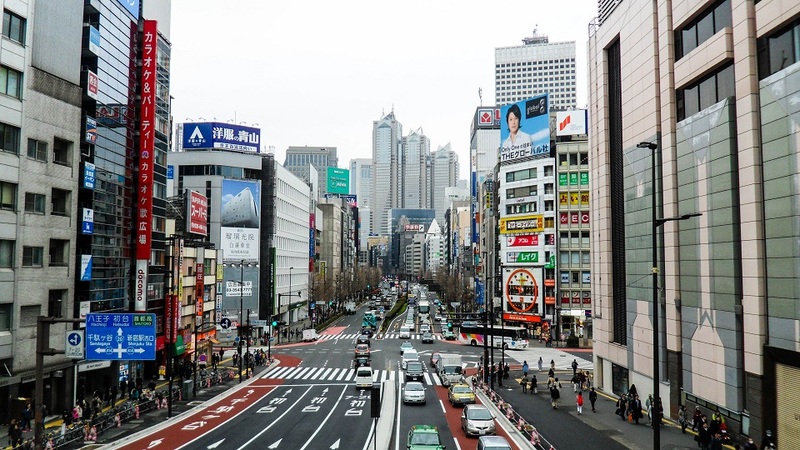 This is what I considered the real “downtown” area, where a lot of the big business buildings are and where rush hour is probably the worst, it hangs between Shinjuku and Chiyoda. 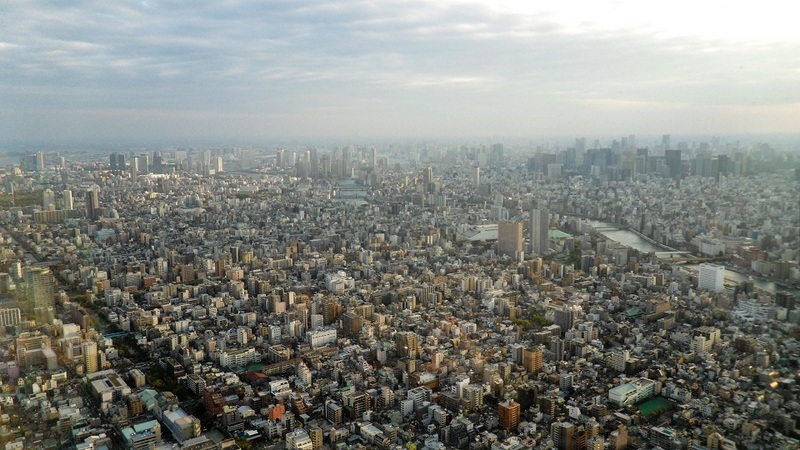 Opinions vary though on this as Tokyo is so big, it’s hard to define it’s “core” spot. 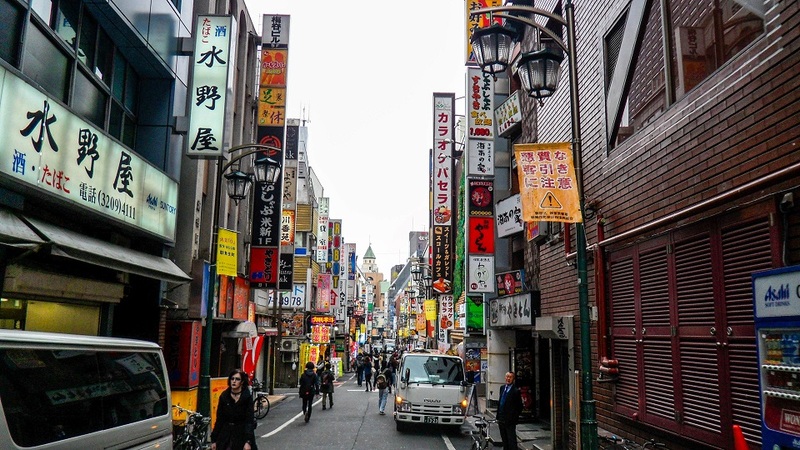 The narrow streets filled with vertical signs, a common sight throughout Tokyo. 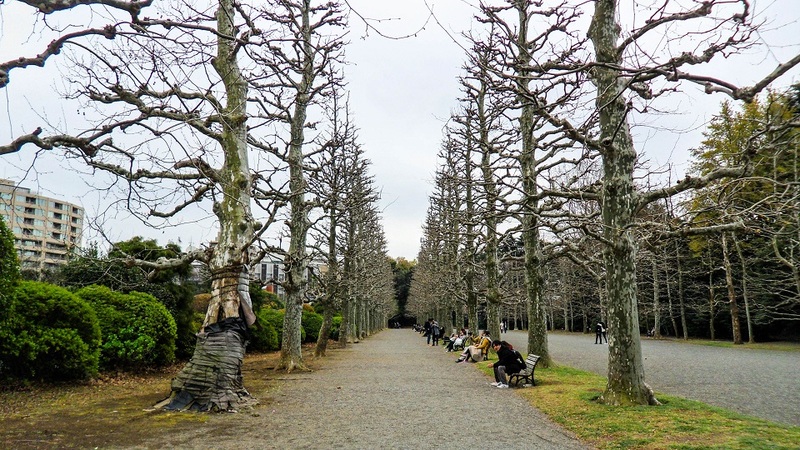 Tokyo has some of the most beautiful parks I’ve seen! 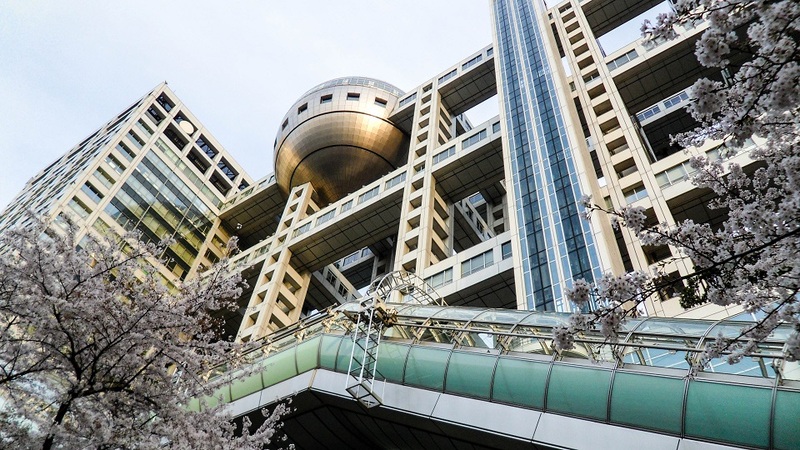 The “oh my god” reaction causing structure, with a giant steel plated ball on top; the Fuji TV Building. Unfortunately the ball was closed by the time I made it to the elevator that takes you up to it. 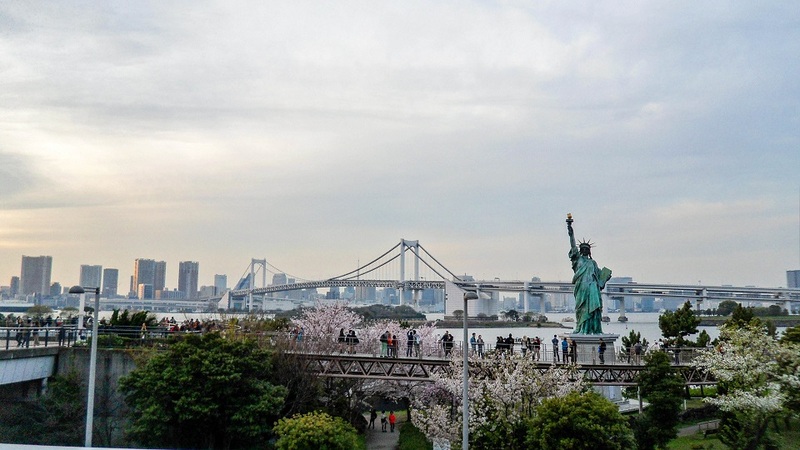 The Statue of Liberty…….. replica. 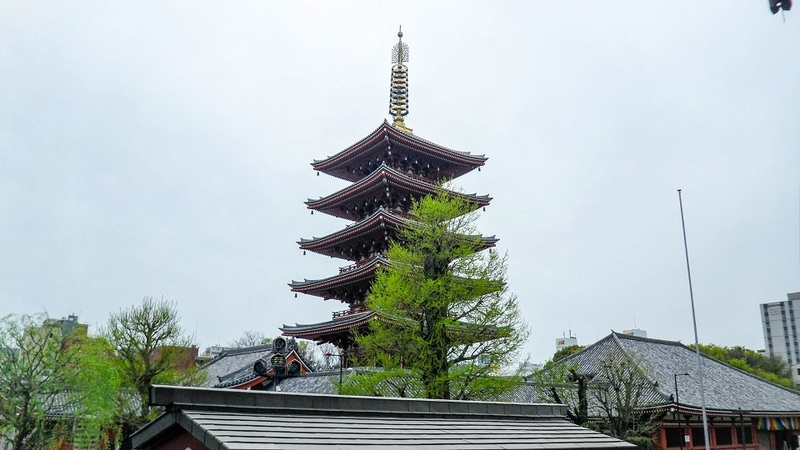 Despite the fact there’s so many pagodas in Japan, I never got tired of seeing them. I really love these things! 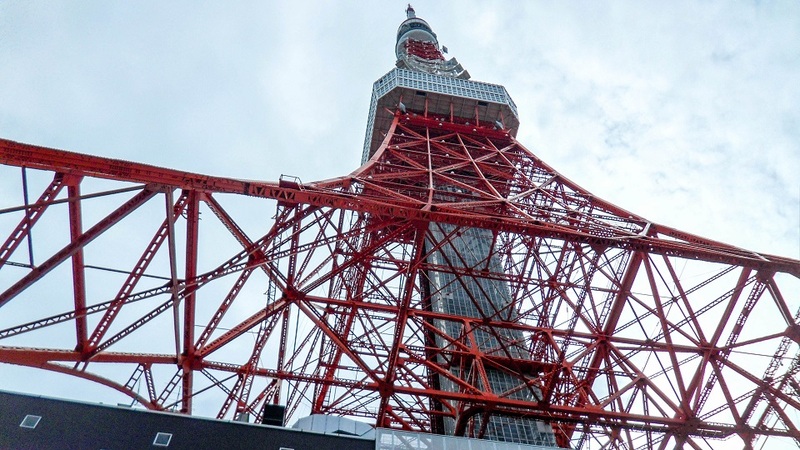 The structure that offers the “holy **** that’s high!” reaction, the Tokyo Skytree; 2nd tallest structure in the world (Burj Khalifa is the only structure that’s taller at the moment), and the #1 tallest free-standing tower in the world! Topping off at 2,080 feet tall! 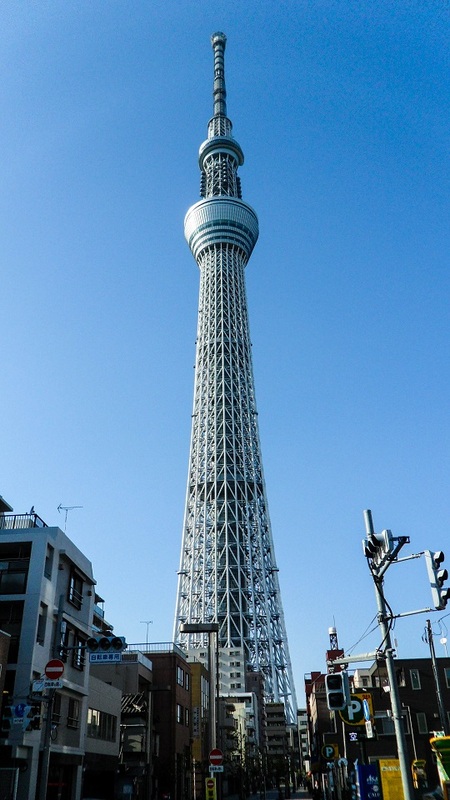 And now a couple views from the Skytree! 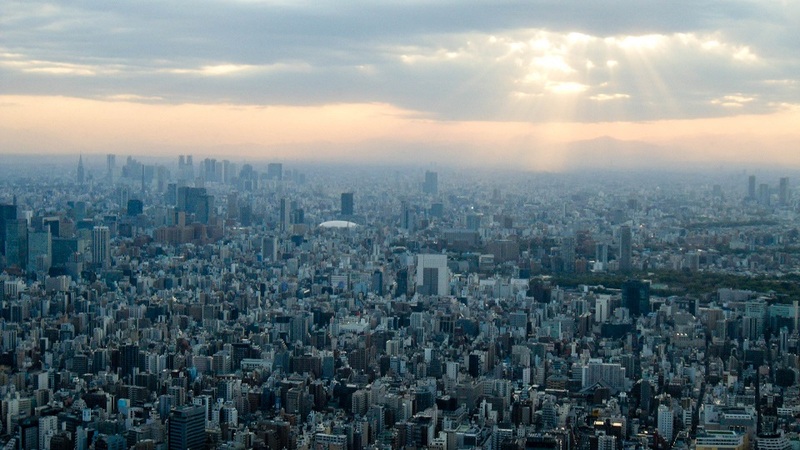 Watching the sun set from the Skytree is pretty amazing! 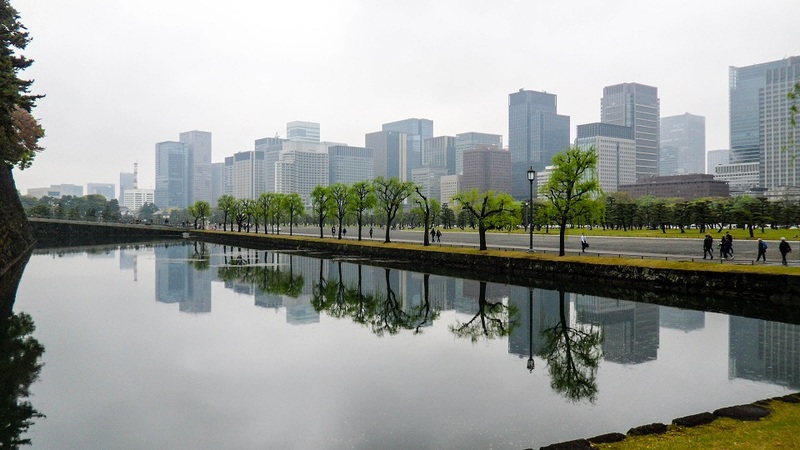 A view of downtown from near the Imperial Palace. A view looking down toward one of the biggest JR Railway stations to end the post! 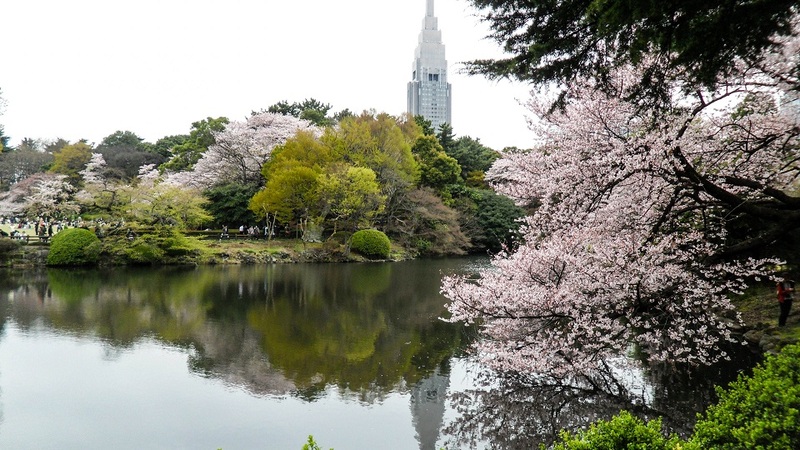 Check out my article on Tokyo for the full story! ← Previous Previous post: What The Duck Is With Memphis!? 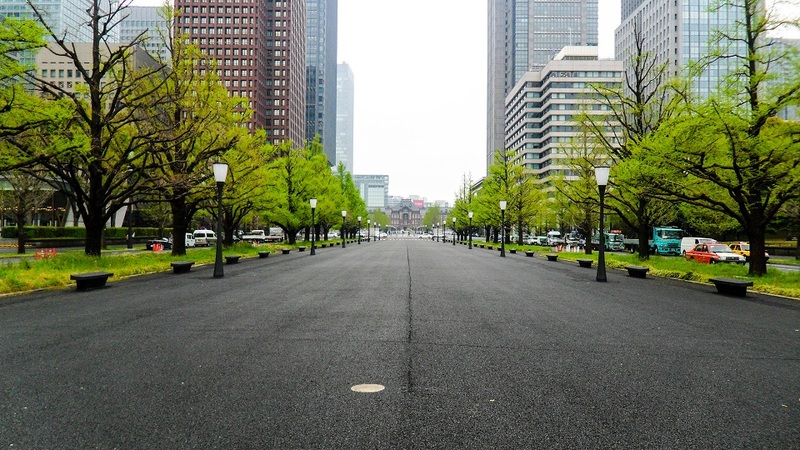 Next → Next post: Can You Handle Tokyo?